Arcade game combined Elasto Mania and Dino Run. 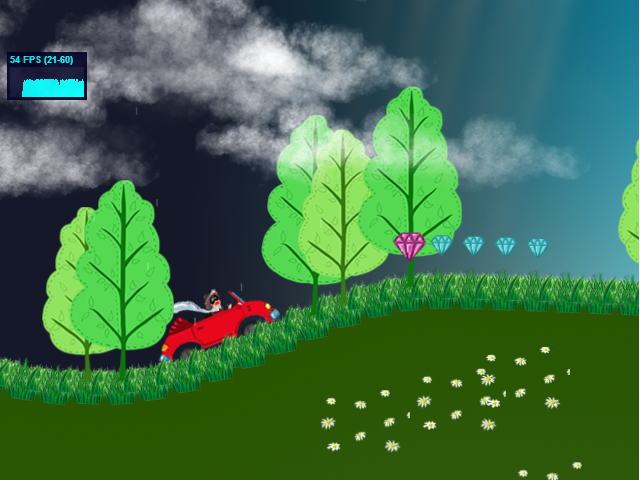 Game goal is drive the cabriolet and try to avoid storm, collect gems and reach to the end point. Used modules: Emscripten Box2d, Pixi.js, Howler.js and so on. 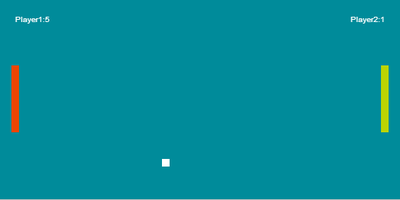 Also was used Angular.js for creating game like single page app. Current state of project MVP, in next iteration I'll apply new visual design. Game developed almost without any additional modules. It's heavily based on CraftyJs example, but unlike it almost all logic are user code based. That shows how to deal with your own modules, systems and components. Darling.js does not cost a dime. Code licensed under the Simplified BSD License. You only need to noted in source that you have used Darling.js. And I'll be very pleasured if you let me know that you are using engine in your project. The dependency injection in Darling.js allow you to declarative describe how your application is wired. And any component which doesn't fit your needs can easily be replaced. Separates the functionality and data into individual Systems and Components that are mostly independent of one another. So composition is used instead of inheritance. Also group components and system in Modules that can be plugged to game application. Gallery of modules. Engine doesn't depend on any additional library and only implement Entity, Component, System approach. So it's up to you to use any renderer libraries (2D or 3D), physic simulation and AI. But for easy integration there is exist some adapter for popular libraries and common use cases. Highly inspired by Ash Framework by Richard Lord.